Reptiles are a class of ectothermic ("cold-blooded") animals found throughout the world. Reptiles are vertebrates, as they have an internal skeleton and a backbone. They are also amniotic tetrapods and their skin protects them from drying out. Common reptiles include alligators, lizards, snakes, and turtles. 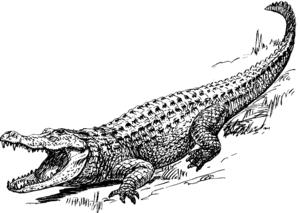 Evolutionists believe some reptiles are more closely related to birds than they are to other reptiles (e.g., crocodiles being more closely related to birds than they are to lizards), and because of this, they argue the traditional groups of "reptiles" listed above do not together constitute a monophyletic grouping or clade (consisting of all descendants of a common ancestor). For this reason, many evolutionist scientists prefer to consider the birds part of Reptilia as well, therefore making Reptilia a monophyletic class, including all living Diapsids. This page was last modified on 6 March 2019, at 18:48.